Directions: The map directions will lead your right to the pier parking lot. Since the pier is condemned, parking is free, but spots are limited as the shifting sands take over more of the lot with each year. 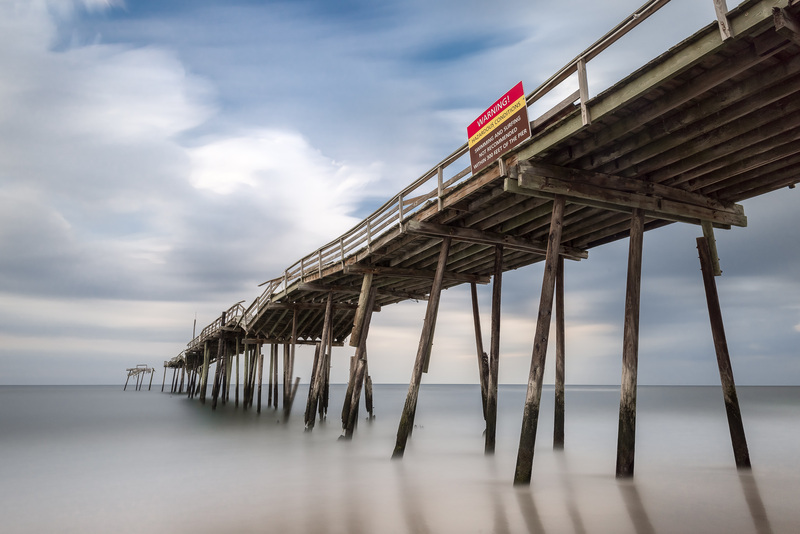 The Cape Hatteras Fishing Pier is another one of the few remaining wooden piers on the Outer Banks coast. Each year these piers are damaged by seasonal storms and replaced with concrete versions. This pier has been damaged to an unsafe point, so it’s been boarded off and condemned. With each year more and more of the pier is washed out to sea, so get your shots while it’s still there.